The Byram Hills High School seniors who have committed to playing their sport in college next year. From left, in front row: Malorie Lipstein, Christopher Draper, Matthew Turk, J.J. Bancone. In back row from left: Ryan Steeg, Nick Weitzman, Luke Simon, Antonio Aversa, Daniel DiSano, Brian Glat, Skylar Sinon and Tristan Gibson. 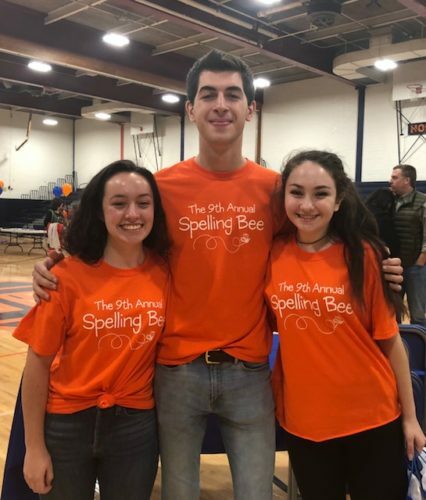 Through hard work, dedication and hours of practice and play, a dozen Byram Hills High School student-athletes have risen to the top of their game. Now, these seniors are taking their athletic ability to the next level, and have committed to playing their sport in college next year. 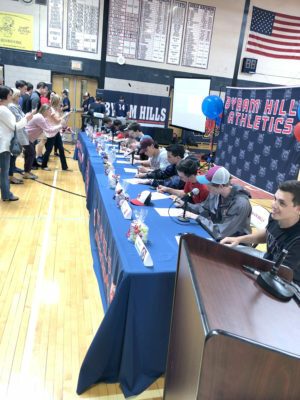 Byram Hills honored the dozen athletes at a ceremonial College Signing Day in the high school gym in early May, as fellow classmates, teammates, family members and school officials cheered them on. Before the students signed a symbolic letter of intent to play next year, each was introduced by the boys varsity soccer coach, Matt Allen. He highlighted the students’ athletic accomplishments, and put each on the spot with a personal question. Their achievements drew repeated applause, while the athletes and the crowd shared some laughs during the question-and-answer period, highlighted by a little gentle ribbing and some unvarnished honesty. Byram Hills High School seniors sign their ceremonial letters of intent to play their sport in college next year as their proud parents watch and capture the moment with their cameras. Antonio Aversa, Fairleigh Dickinson University, football. Coach Allen described Aversa an imposing figure on both the football field and the baseball diamond. In football this year, he scored nine touchdowns, and had over 500 yards receiving, 34 receptions and needed to be double-teamed many times. “He’s going to be a dangerous weapon for F.D.U. next year,” Coach Allen said. J.J. Bancone, Denison University, football. This season, Bancone rushed 316 yards and caught 38 passes for 316 yards. On defense, he had 45 tackles and two interceptions. Coach Allen called him a true all-around player who plays with a lot of emotion. Daniel DiSano, Union College, baseball. Coach Allen said Union is getting an exceptional outfielder next year in DiSano. “He currently bats leadoff for the team and is batting .500, leading the team in hits, stolen bases and is also riding a perfect fielding percentage, where last year he made 41 putouts without an error. He’s a professional whose main attribute is his all-around skill,” Coach Allen said. Brian Glat, MIT, swimming. Coach Allen joked that Glat found just a little bit of time to swim while he was busy earning a 4.539 GPA and a near-perfect ACT score of 35. He noted that Glat is a four-time state qualifier, a Journal News First Team All-Star, a USA Swimming Scholastic All-American, has broken four school records and was recently named a Con Edison Athlete of the Week award winner. Luke Simon, Fordham University, football. Coach Allen noted how much Simon has grown since freshman year, due to hard work and a love of the weight room. This past season, he had 54 tackles–32 solo, 5 sacks, 13 tackles for loss and two forced fumbles. Skylar Sinon, Ithaca College, basketball. “Sinon will graduate as arguably the most celebrated basketball player in our school’s history,” Coach Allen said. He cited Sinon’s achievements: All-Section selection for four years, All-State the last three. He shattered the school’s all-time scoring record by over 500 points, with a total of 1,657 points. He has a career record of 90-25, and was a Con Edison award winner this past season. Ryan Steeg, Oneonta, baseball. Coach Allen said that Steeg has established himself as one of the top pitchers in Westchester. He’s earned All-League honors as a junior. Last year, he led the team in innings with 45, had an ERA of 2.30 and 49 strikeouts. “So far, he’s lived up to his No. 1 pitcher status, with a 4-1 record on the mound, leading the team in innings and has an exceptional 1.40 ERA,” Coach Allen said of this season. Matthew Turk, Dickinson College, track and field. 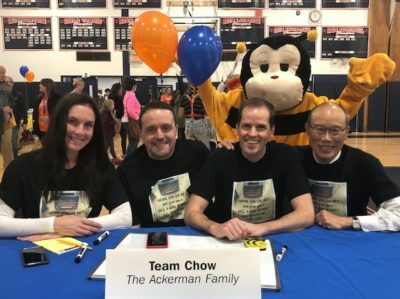 Coach Allen said Dickinson College will be gaining “one of the most consistent runners in school history” from Byram Hills. This past year, Turk led the team to a top-five finish in the Westchester County Sectional Championship meet. Nick Weitzman, Union College, tennis. Weitzman is a four-year varsity player, and is captain of the program this year. He’s compiled a 40-11 record and is becoming the second member of his family to play a sport for Union. 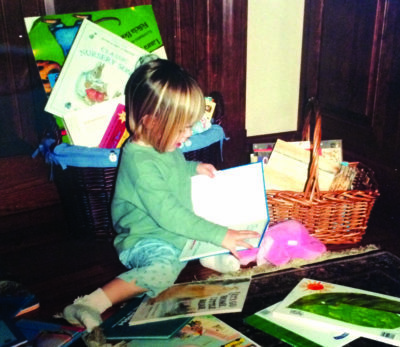 For the longest time, what to read (not pack) was the bigger decision for Meaghan. It’s the time of year when I start thinking less about what I’m putting in my backpack than what I’ll soon be taking out of it. On the last day of school every year, I dump the contents of my bag onto my bedroom carpet, going through the arduous process of deciding what to keep. Thank-you note? Definitely saving that. Less-than-stellar math test? Recycling bin. AP review book? Donate. That random sock? Long overdue for the laundry room. It’s a cathartic thing, seeing the contents of my year go from a chaotic jumble to a neat stack on my shelf. But this year, my challenge won’t be fitting my memories into my home. My challenge will be fitting my home into my memory. At the end of my next first day of school, I’ll be coming home to a dorm and a roommate, not my house and family. That’s an overwhelming thought. So I’m doing what I always do when I feel overwhelmed: making a list. I’m leaving behind fear. It’s good to be scared every so often–but not of circumstances that are out of my control. In the words of one of my favorite pieces of writing, a 1997 Chicago Tribune column, “The real troubles in your life are apt to be things that never crossed your worried mind, the kind that blindside you at 4 p.m. on some idle Tuesday.” I can’t prepare for every possible disaster that might befall me in college, and I won’t expect the ones that do. But I won’t let that stop me from seeking out new experiences. All I can do is be flexible, rolling with whatever punches life throws my way. I’m also leaving behind disillusionment. As a senior, I’ve been more involved in our community than ever. Unfortunately, I’m still learning that involvement has almost as much to do with disappointment as it does with fulfillment. One of the most difficult lessons of Chappaqua, or maybe anywhere, is learning that institutions, credos, and people will sometimes fail you. But from that disenchantment comes the satisfaction of discovering a sense of perseverance and happiness in spite of shortcomings. What else am I packing? Sunscreen. Perspective. Shower shoes. Forgiveness. Pencils. Courage. Confidence. Character. My DeMarie dinosaur. My pocket Constitution. My train of thought (wouldn’t want to lose that). My memories of our town’s many wonderful people, who have shaped me in too many ways to count. And, of course, I’m leaving some empty space. After all, if the place you’re headed won’t add something worthwhile to who you are, why bother going? The last thing I want to do is waste my transformative college years re-teaching myself everything I’ve already been taught. I want my perceptions to be challenged and changed; I want to be inundated with new ideas that teach me different ways to be a better person. Here’s to open suitcases and open minds. No matter what I pack, I know I’ll feel like I’m forgetting something. 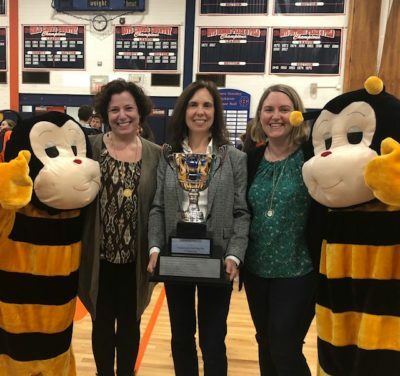 How can I possibly recall everything Chappaqua has meant to me? I’ve seen the daffodils burst open in front of Reader’s Digest and kicked a soccer ball through autumn leaves at Gedney. I’ve watched my classmates get puppies, braces, jobs, and college acceptance letters. So much has changed in the 17 years I’ve called this town home. While I can’t know what will change in the next four, I’ll always be grateful to have grown up here. That gratitude will be on my packing list for the rest of my life. As a financial planner who has worked with many clients over the years figuring out how to pay for college, and as a parent who has sent two Greeley graduates to college, January 1st was never a date to look forward to. Just the uttering of the term FAFSA will send many parents into a panic. For high school seniors who will be entering college in the fall of 2017, the quest for financial aid is beginning and FAFSA is a term you will get to know quickly. The short answer is that the Free Application for Federal Student Aid forms, commonly referred to as the FAFSA, are the forms that are filed each year to be eligible for financial aid. Many parents tell me that since their child will not be eligible for aid, they don’t need to bother with the forms. Assuming that you have saved enough for college and will not need to borrow money, then you may not need to file the forms. On the other hand, if you are like many families that will either need financial aid and/or need to borrow, you will still need to file the FAFSA forms to be eligible for some of the loans offered for both parents and students. The main reason for the struggle each year is that when you file the forms in January, you have not even filed your tax returns, let alone received your W-2s, 1099s and other financial information needed from the prior year. At the start of the 2017-2018 college year, the FAFSA forms can now be filed as of October 1, 2016. The good news is that since this is a transition year, you will use your 2015 financial information. For those with returning students, you will again use your 2015 financial information that you used when you filed earlier this year. If this is the first time you file the FAFSA, you should already have all the financial information you will need from 2015. 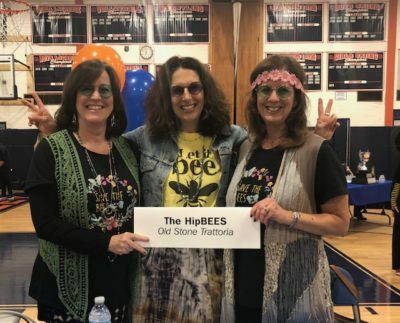 Going forward, you will use the prior year information. For example, for the 2018-2019 school year, the forms will be filed starting October 1, 2017, using 2016 information. Get started early and don’t panic! 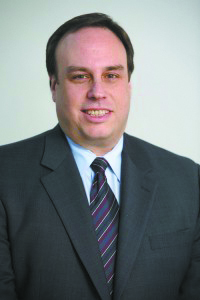 Scott M. Kahan, is a Certified Financial Planner® professional and President of Financial Asset Management Corporation, a fee-only wealth management firm located at 26 South Greeley Avenue in Chappaqua. Call Scott Kahan at 914-238-8900 or write to skahan@famcorporation.com.